The cutting-edge technology and products that will drive general aviation’s next generation come together at EAA AirVenture Oshkosh 2018 on Tuesday, July 24, with a full Innovations Day of programming and events on the AirVenture grounds. The daylong series brings together the brightest minds in aviation innovation, discussing topics that include electric and hybrid technology, artificial intelligence in the cockpit, future avionics, uses of unmanned aircraft and more. Many of the innovations seen at Oshkosh over the past five decades are now commonplace in aviation. 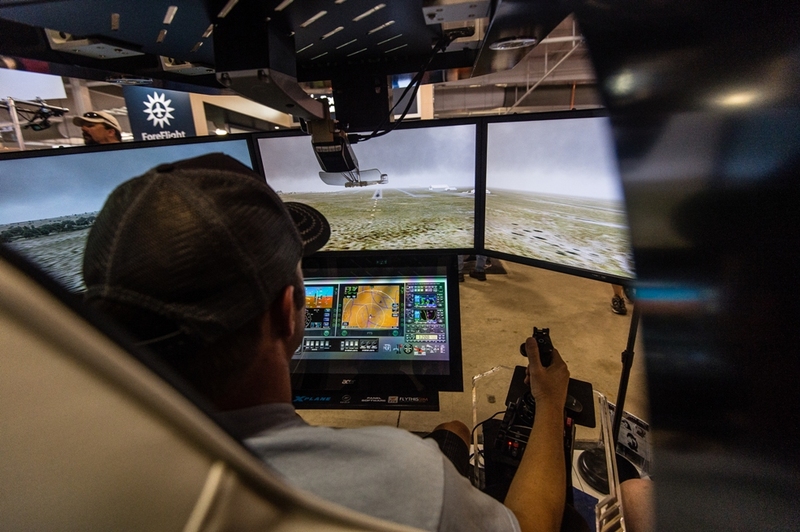 The cutting-edge technology and products that will drive general aviation’s next generation come together at EAA AirVenture Oshkosh 2018 on Tuesday, July 24, with a full Innovations Day of programming and events on the AirVenture grounds. The 66th annual Experimental Aircraft Association fly-in convention is July 23-29 at Wittman Regional Airport in Oshkosh, Wisconsin. The event is traditionally the venue where the latest aviation technology is introduced to the flying community. 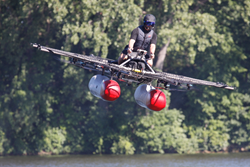 The daylong series of only-at-Oshkosh events brings together the brightest minds in aviation innovation. Topics will include electric and hybrid technology, artificial intelligence in the cockpit, future avionics, uses of unmanned aircraft and more. The packed schedule of events concludes An Evening With Innovators program at Theater in the Woods, featuring with the third annual Founder’s Innovation Prize judging and program. In addition, Aviation Gateway Park features more than 20 new exhibitors demonstrating new technology throughout the week. 9 a.m.-Noon: Lindbergh Innovation Forum, Aviation Gateway Park Forum Tent — Entrepreneurs, inventors, and trailblazers involved in breakthrough work participate in presentations and panel discussions on a variety of technology shaping tomorrow’s aviation environment. Those scheduled to participate include representatives of Uber Elevate, Boeing, Insitu, Ampaire, Embry-Riddle Aeronautical University, and others. 1-2 p.m.: Innovation Trends in GA Avionics Executive Roundtable, Aviation Gateway Park Forum Tent — This panel of GA founders and CEOs from the avionics industry will focus on ADS-B, open-source development, GA/UAV crossover technology, and more. 8 p.m.: An Evening With Innovators featuring the Founder’s Innovation Prize, Theater in the Woods — The third year of this competition, presented by Airbus, highlights the top five 2018 entries in a “Shark Tank”-style format, where judges from throughout the aviation and aerospace world review the best and brightest ideas to lower the loss-of-control accident rate in general aviation. The winner receives a cash prize of $25,000, with additional cash prizes for second and third place. EAA AirVenture Oshkosh is the “World’s Greatest Aviation Celebration” and EAA’s yearly membership convention. Additional EAA AirVenture information, including advance ticket and camping purchase, is available online at http://www.eaa.org/airventure. EAA members receive lowest prices on admission rates. For more information on EAA and its programs, call 1-800-JOIN-EAA (1-800-564-6322) or visit http://www.eaa.org. Immediate news is available at http://www.twitter.com/EAA.